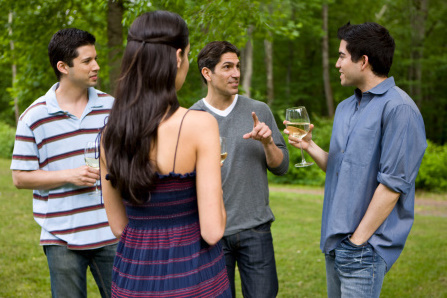 Home Culture How To Be A Good Conversationalist? How To Be A Good Conversationalist? A conversation is a two-sided path. Mind-blowing revelation, right? We've got a lot of those. Keep reading! Ask questions to hear their answers and let the conversation flow from thereon. Ask how their childhood was, their favorite pastimes, where do they come from and what do they plan to do in the near and far future. You’d be surprised to see what different shades every person has, just by asking the right questions. You’ll not be best friends with every person you ever talk to, but you’ll at least have something novel to learn about a stranger. Does that sound like an incentive enough? They are extremely common and they happen to everyone. Chances are that the person you’re talking to is also equally weird about it and is clueless on how to continue the conversation. So be the one to address the elephant in the room and laugh it out. Not only will it relieve the opposite person but also make them more comfortable around you just for your realism. You’ve got to try this one to see how this works. All of us hear it all the time but how often do we really implement it? It’s not only rude but it is very annoying. Let the person finish their damn story man. Yours might be more interesting but be patient. Your turn will come. Think of it this way, you’re narrating a funny AF story from that one night, and someone cuts you off to narrate their saga. Pinches, doesn’t it? Believe it or not, nobody except Arnab Goswami can get away for being an exception to this rule. Be civil, be nice and most of all be kind. You both may have a few words on a subject you are a little sensitive about, but try to be perceptive of their opinion. They might hold a different perspective and that doesn’t make them your enemy. Try using words like “I absolutely understand what you’re saying, but if you look at it from another perspective…” They’re coming from a different place than you are about a topic. Respect the difference and be subtle. Stay on the same page and be as non-judgmental as possible. During a conversation with someone, you will end up discovering many things about them. In some ways, they might be better off than you or maybe not. Either way, don’t judge them or yourself for being superior or inferior to them in any way possible. They’re a different entity and have had a different life than you did. Let your take away from the conversation be everything positive and make sure they end up feeling good about it too. Nobody likes a snob any more than they like a debbie-downer, do they? Next articleHow To Make Your Valentine’s Day Special? Things We Can Learn About Life From Dora The Explorer!